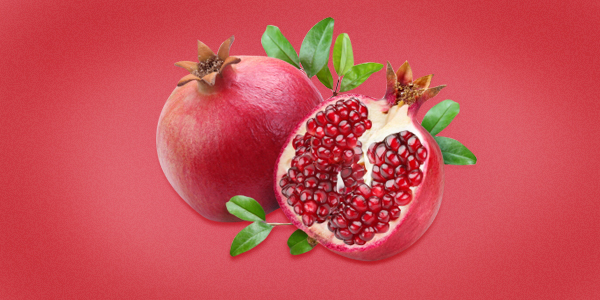 The pomegranate juice concentrate is our last creation and has been elaborated with a new method developed during the last 3 years with our own technology. The result is a promegranate juice concentrate with no seeds. The base of this pomegranate juice concentrate is especially recommended for drinks in dilution indication of 1:3 to obtain a final beverage with 13º Brix. The Spanish pomegranate juice concentrate is known to be one of the best pomegranates in the world. Spain is one of the main pomegranate producers at a global level and the biggest exporter in Europe. The current surface of pomegranate trees in Spain exceeds 2.500 hectares and the production is close to 20.000 tonnes. LemonConcentrate collects the promegranates in Murcia which is one of the locations in Spain with the highest quality of this kind of fruit, as well as being one of the main producers. 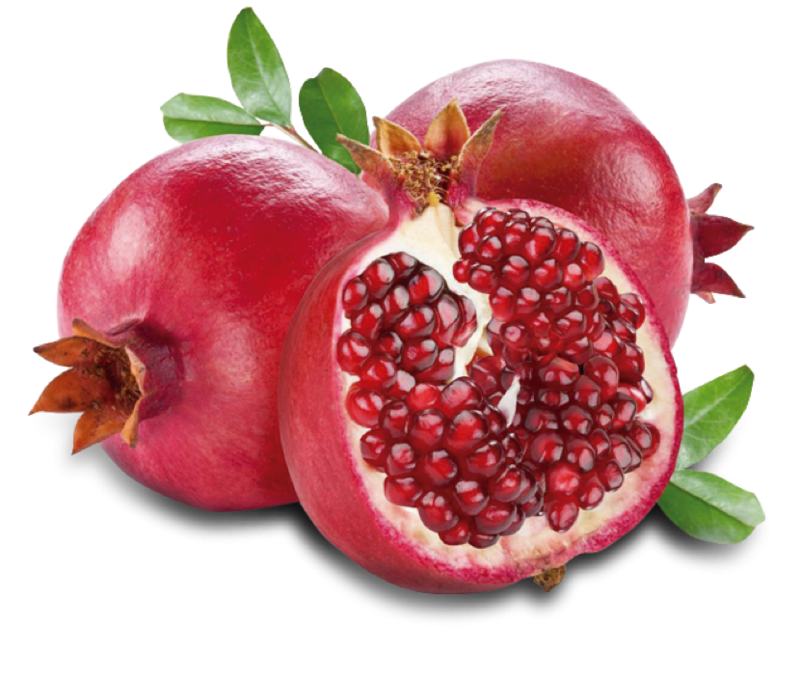 Our pomegranates come from the tree called Punica granatum. The typical pomegranate of this tree is called balausta. The seeds are angular and hard on the inside, the outer layer of the head is covered by a thin layer or juicy, red, pink or yellowish-white, acid pulp, and the diameter of the fruit is between 5 and 8 cm. In addition, the pomegranate juice concentrate has been lately investigated for its antioxidant qualities. In fact, it has about three times more antioxidants than red wine or green tea. It is important to add that 70% of the antioxidants of this fruit is located in its peel, that’s why our concentrates preserve always the skin of the pomegranate, not to loose any of those properties. This makes it ideal for the elaboration of pure pomegranate juice as well as for the combination of the pomegranate with any other fruit in order to increase their benefits. The pomegranate juice concentrate can be used to elaborate a large list of different products, such as pomegranate ice cream; pomegranate sweets; pomegranate sodas; or even pomegranate beer. The process to obtain one of these final products includes 4 steps. The first one refers to the work in the field in order to make sure all the fruits receive the best care. Afterwards, when the fruit achieves its best condition its collected and brought to LemonConcentrate’s facilities for the processing which represent the third step. LemonConcentrate has the latest technology and makes sure all the fruits are properly processed without losing any of the properties. It has a specific treatment for each fruit and also depending on the product we want to obtain. The final step falls on our clients’ wishes and refers to the elaboration of final products as the ones mentioned before. Our fruit juice concentrates are adressed to the food and beverage processing industry for the elaboration of final products. In fact, as mentioned before, the concentrates can be used to elaborate a range of different products such as: fruit juices, jams, sweets, wines and liquors, soft drinks, ice creams, etc. We are nowadays one of the market leaders thank to our dedication and effort. Our concentrates preserve all the benefits of the fruit, which makes our juices and concentrates as natural as possible, mantaining all the properties of each fruit. Our main goal is to fulfill our clients needs. That’s why we try to elaborate products with the highest quality. To achieve this purpose, we collect all our fruits from one of the best locations in the world: Spain and especially Murcia. Murcia is a strategical place to be in order to reduce the time between the collection of the fruit and its processing by the closeness to the raw materials. Apart from the high quality of our products, we also take care of the services we give to our clients. That’s why we offer flexible solutions regarding packaging and logistic and we establish all our products at competitive prices. Also, products can be aseptic, frozen or preserved depending on our clients’ needs and the final use of the product.